Local services marking Anzac Day this year include special recognition of the Battle of Bullecourt at the Breakfast Point War Memorial. Of the many First World War battles those at Bullecourt in northern France were amongst the most horrific. Four experienced Australian divisions of I ANZAC Corps were part of the British 5th Army under Sir Hubert Gough. The general wanted to attack at Bullecourt to support an important offensive by the adjoining British 3rd Army to the north and the French Army further to the south. However poor planning resulted in heavy losses. The first attack launched at Bullecourt on 11 April 1917 was a disaster. Despite this a further attack across the same ground was ordered for 3 May. The Australians broke into and took part of the Hindenburg Line but no important strategic advantage was ever gained. In the two battles the AIF lost 10,000 men. The Breakfast Point War Memorial lists the names of eight local men who died at Bullecourt. 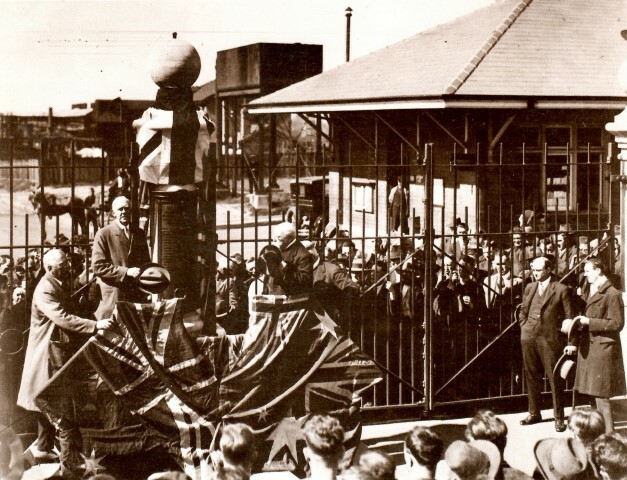 The photograph shows the unveiling of the Australian Gas Light Company (AGL) war memorial by Sir Dudley de Chair, Governor of NSW in 1926. 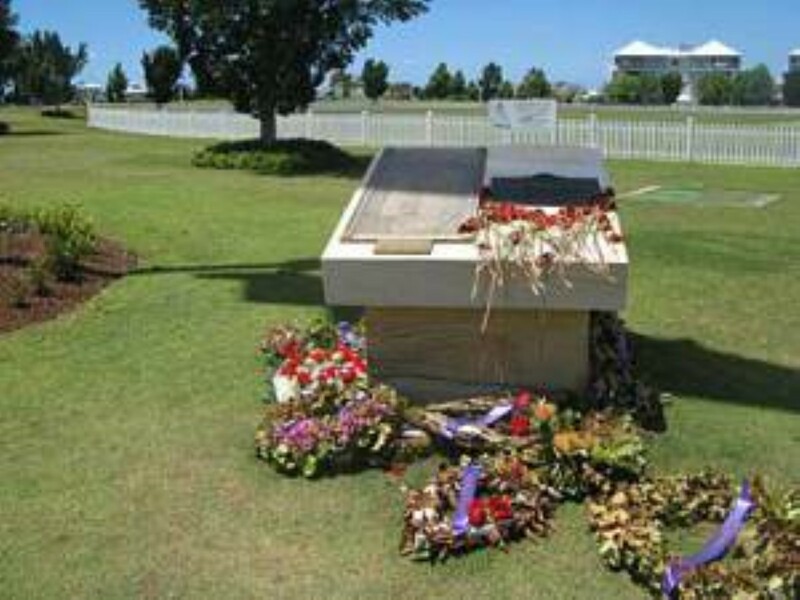 It has since been replaced by the Breakfast Point memorial. An exciting new art installation planned for Cabarita Park will bring together stories and images of what the park means to local people. Artists Sean Bacon and Kym Vercoe are collecting stories and images which will be projected on to fig and palm trees in the park. They are having a filming day in Cabarita Park on Saturday, 5 November 2016 from 11am to 2pm so come along and share what the park means to you. 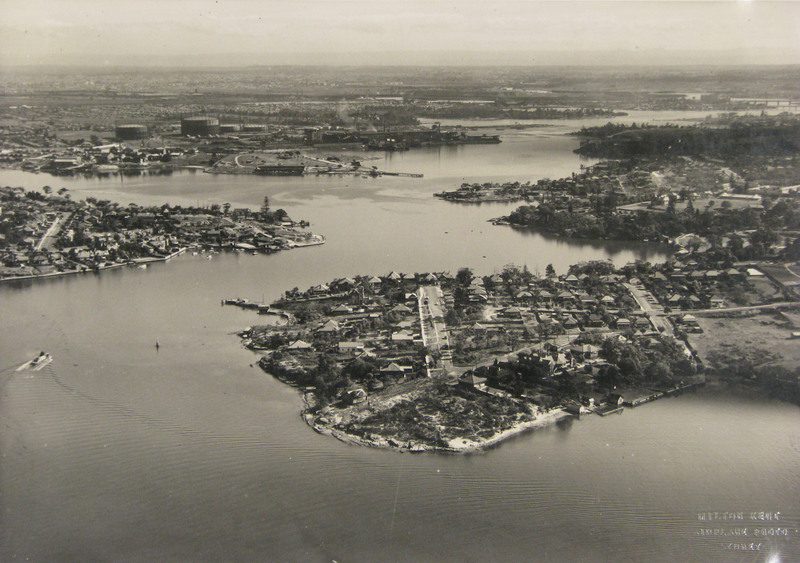 The aerial photograph, taken in 1968, shows Cabarita Park in the centre of the image. 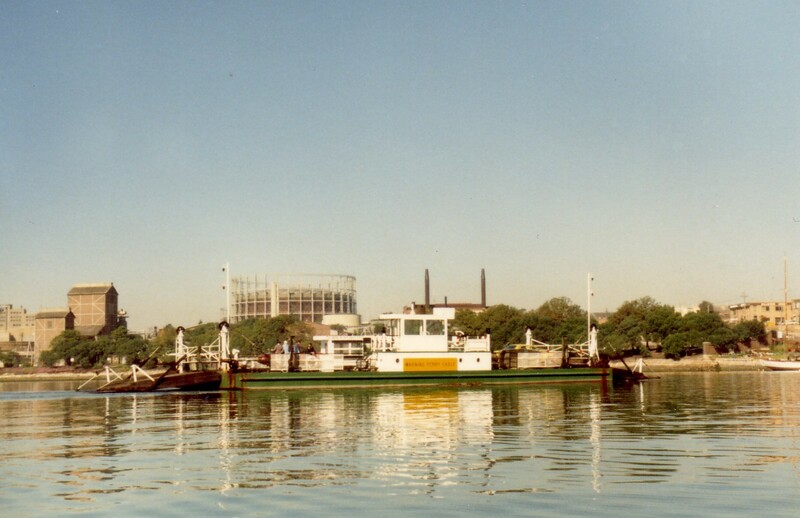 In the foreground can be seen the AGL (Australian Gas Light Company) works at Mortlake, now redeveloped as Breakfast Point. 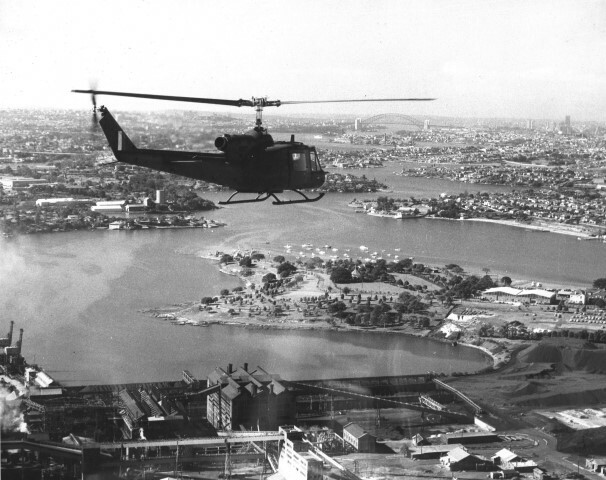 City of Canada Bay Museum’s latest display celebrates Australian inventions and discoveries. From speedos and zinc cream to spray on skin and cochlear hearing implants, Australian innovations have had a worldwide impact. 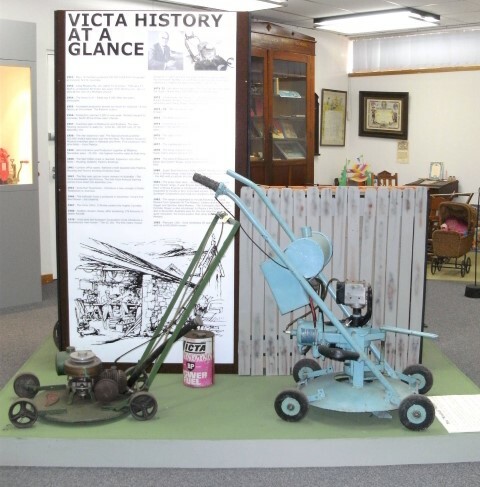 A highlight of the museum’s collection is a display devoted to the development of the Victa mower. In 1952 Mervyn Victor Richardson of Concord put his mind to inventing a machine to cut the grass in his suburban garden. Using scrap material to hand he developed a prototype which attracted considerable attention. He began by producing mowers in his garage but before long expanded his operations to an old shed at the rear of St Mary’s Church, Mortlake. 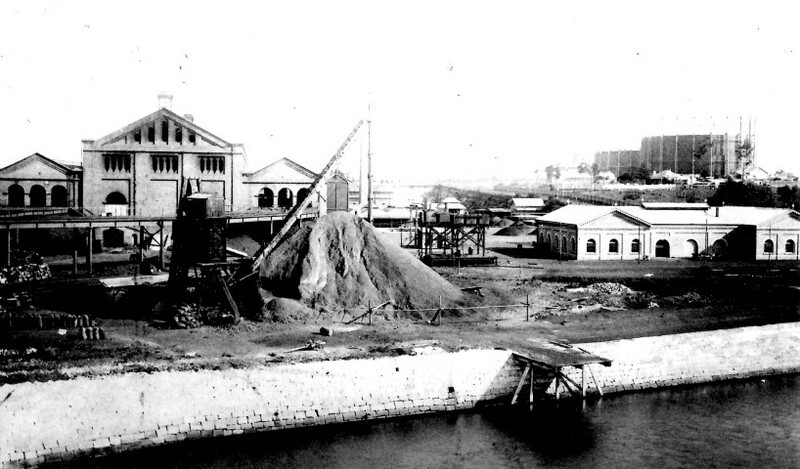 Demand continued to grow so that by 1958 his company, Victa Mowers Pty Ltd moved to a factory at Milperra. Since then over eight million lawnmowers have been produced. The display at the City of Canada Bay Museum continues until the end of June. City of Canada Bay Library Service provides access to two important databases for people wishing to trace their family history, Ancestry and Find My Past. To coincide with Family History Month, Heather Garnsey of the Society of Australian Genealogists will be giving an informative talk to help family history researchers. The talk is aimed at current users of Ancestry and Find My Past who would like to enhance their search skills and use these databases to greater effect. The talk will be held at Concord Library on Tuesday, 27 August 2013. 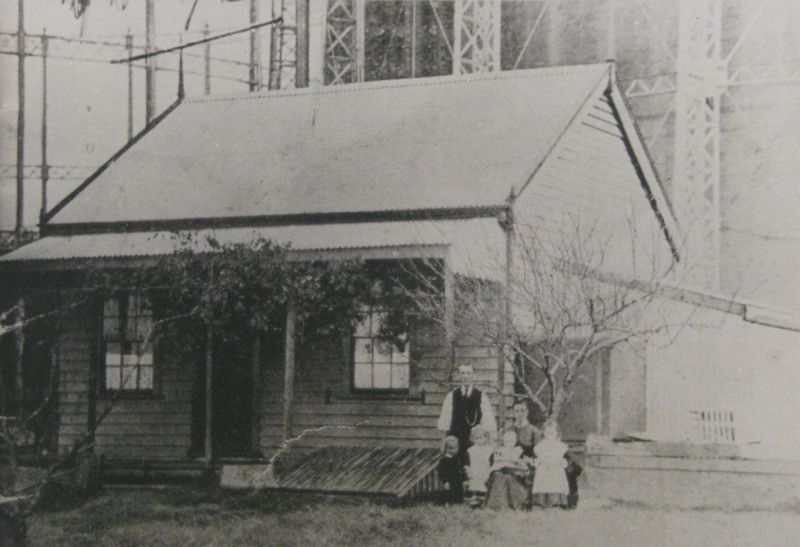 The photograph shows John and Amanda Jane Smith with their children at Mortlake. 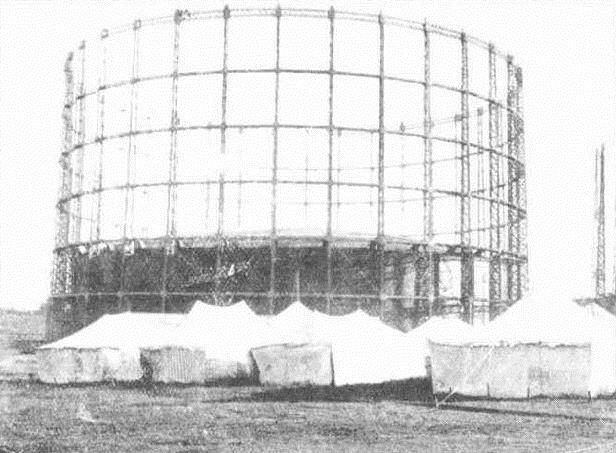 Behind their home looms one of the AGL (Australian Gas Light Company) Gas Storage Tanks. 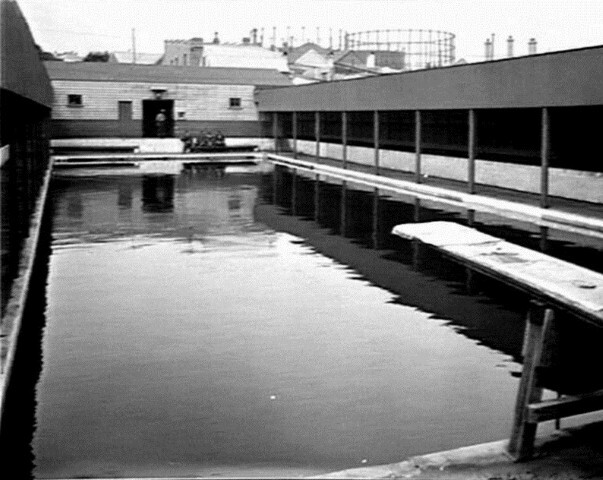 John Smith was an engineer, born in Kent, who came to Australia to install a new stoking machine at AGL. After serving 15 years with AGL he operated the Petersham Hotel for a period before returning to AGL where he worked until his death in 1927.